September 2018 UPDATE: The Dale clearance yarns and books are being moved to the “On Sale” section of my new website, MaryAnnStephens.com. UPDATE: This design is now available through Mary Ann’s new website, MaryAnnStephens.com. You’ll find the pattern here. UPDATE: My post on steeking has been updated, formatted as a free, downloadable PDF and moved to the Technique page on my new website, MaryAnnStephens.com. 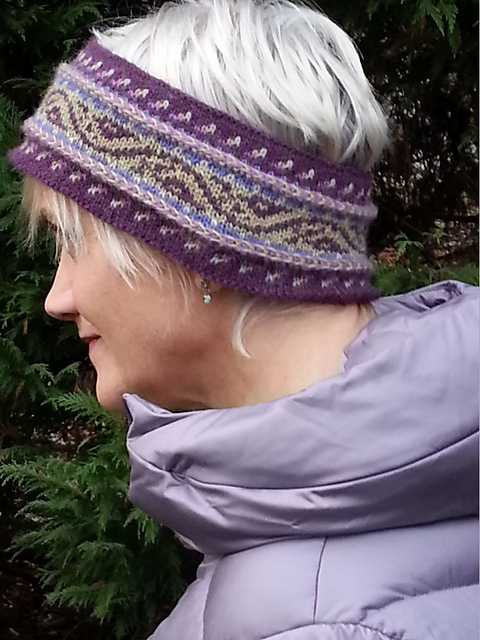 UPDATE: This free “Sports Fan Hat” knitting pattern has been moved to the free knitting pattern page on Mary Ann’s new website, MaryAnnStephens.com. Robin Hunter recently interviewed me for her blog, “How to become a Professional Knitter”. It’s up there now, right…over…HERE! This popular post on using flat charts to knit rounds shapes has been moved to the “Technique” section of Mary Ann’s new website, MaryAnnStephens.com. Steek stitches – how many??? Shetland Spindrift Naturals are back in stock! Here’s yet another new English translation from Dale Garn: Baby Book 277 – a sweet collection of 13 different knitting designs for baby outfits featuring lace, textures and simple, solid basics. Now available at Kidsknits.com. Same Old Yarn, Brand New Gauge??? Some alternate colorway ideas for my Riverside Cowl design: Got a favorite? Get the customizable kit here.